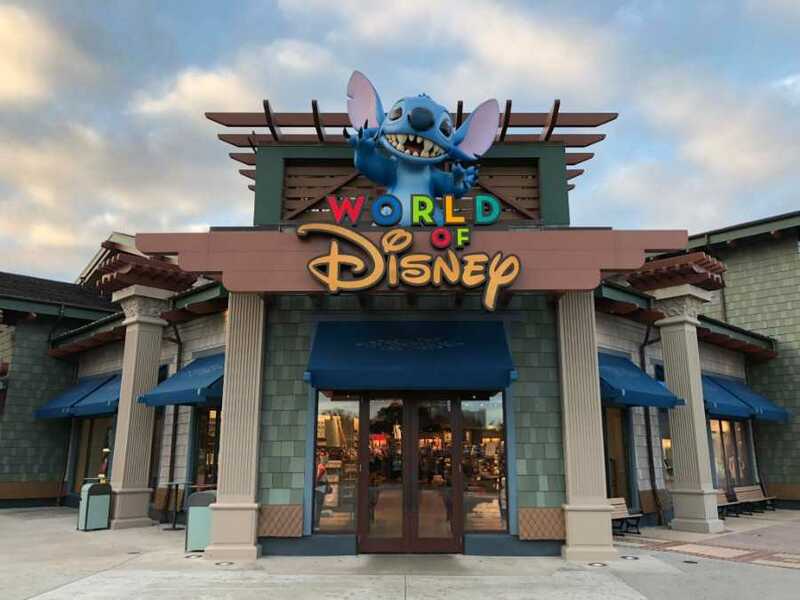 The World of Disney store at Disney Springs is one of the most popular locations for guests to find perfect keepsakes from their vacation to the Walt Disney World Resort. 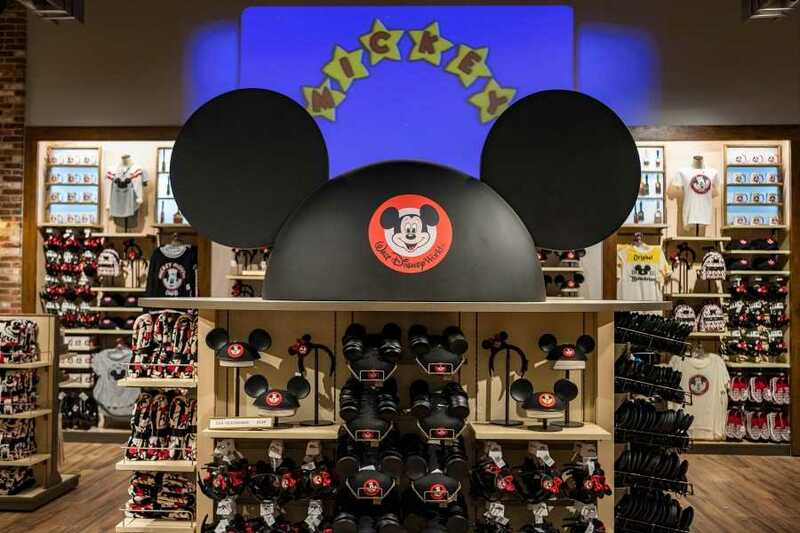 This morning, the expansive shop officially unveiled their impeccable transformation revealing the new design which they say will make shopping easier and more fun – along with a dash of Pixie Dust on top. The reimagined location has been in the design and development phase for over a year. This grand makeover has touched every feature and function in the store as if the Fairy Godmother transformed the store herself. 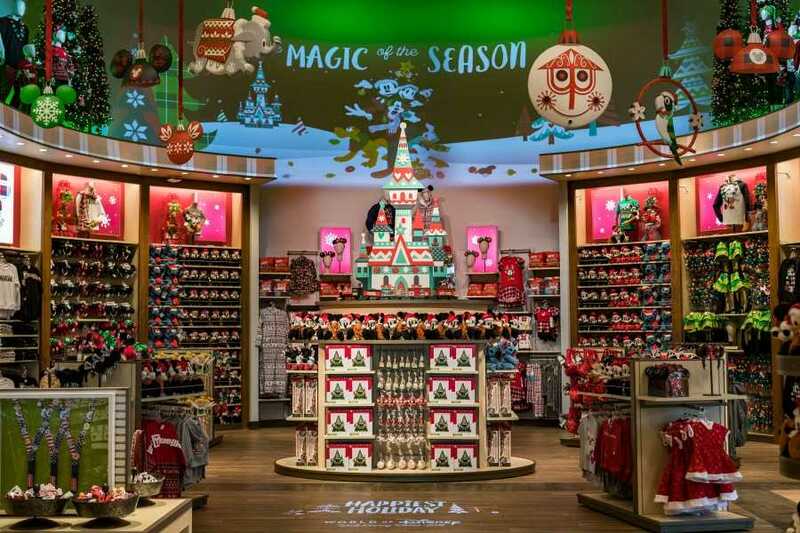 From displays to signage and lighting, the new World of Disney has created an exciting and vibrant shopping experience where the products are the stars of the show and guests can enjoy Disney storytelling just about everywhere they look. 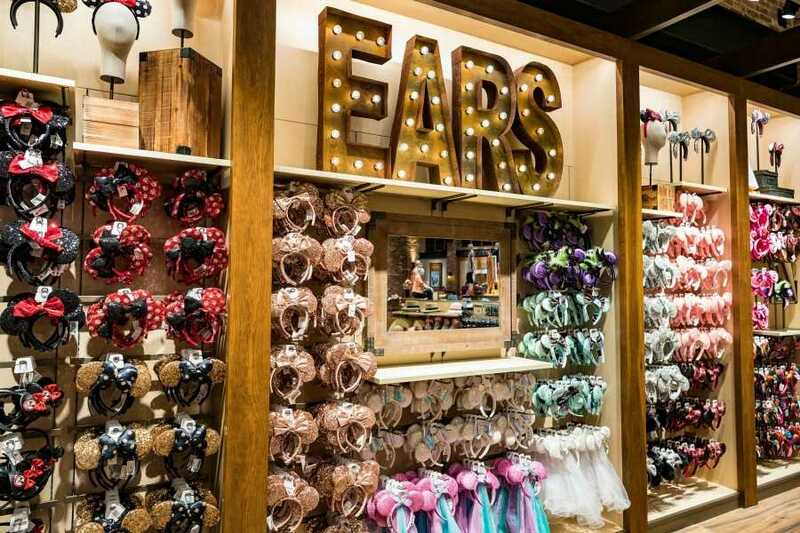 In one area, Disney Princess tiaras form a chandelier, and in another area, a giant Mickey Mouse Club ear hat invites guests to see the new Mickey Mouse Clubhouse Collection that arrived just in time to celebrate Mickey’s 90th Birthday. The transformation began with the exterior of the store which features new marquees and magical window displays. Once guests step inside, they’ll discover an open, loft-style atmosphere. The merchandise also serves as décor in the new World of Disney. Several feature spaces throughout the store will change regularly, showcasing the newest and hottest Disney offerings of the season. When new displays debut, their stunning impact will leave guests feeling as if an entire section of the store was reimagined all over again. Complementing these displays are enchanted flourishes inspired by the history of Walt Disney Animation Studios and the “Nine Old Men,” the legendary animators who created classic films such as Snow White and the Seven Dwarfs, Peter Pan and Fantasia. For instance, ink jars suddenly swirl with color and animate artwork on the walls. Out of nowhere, blank pages fill with pencil sketches as if drawn by an invisible hand. Magical movie posters twinkle with Pixie Dust before coming to life. 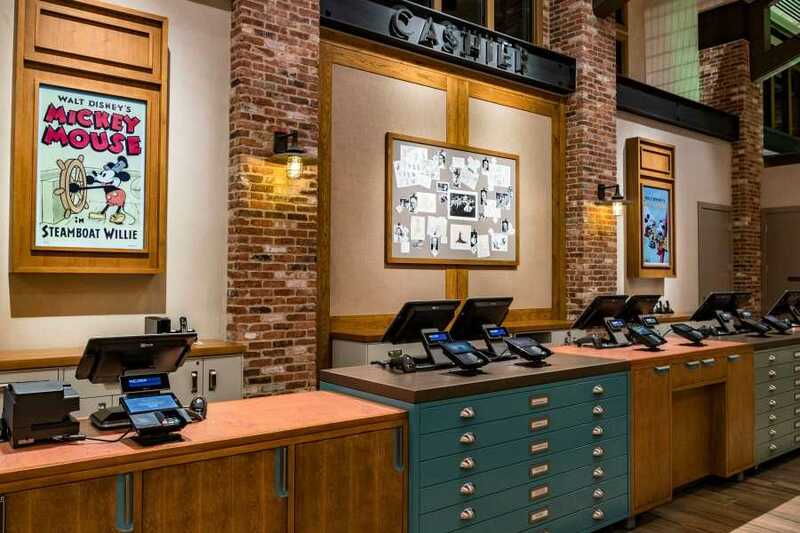 And when making purchases, eagle-eyed guests may notice the store’s sales counters are inspired by the desks and furniture used by animators of generations past. 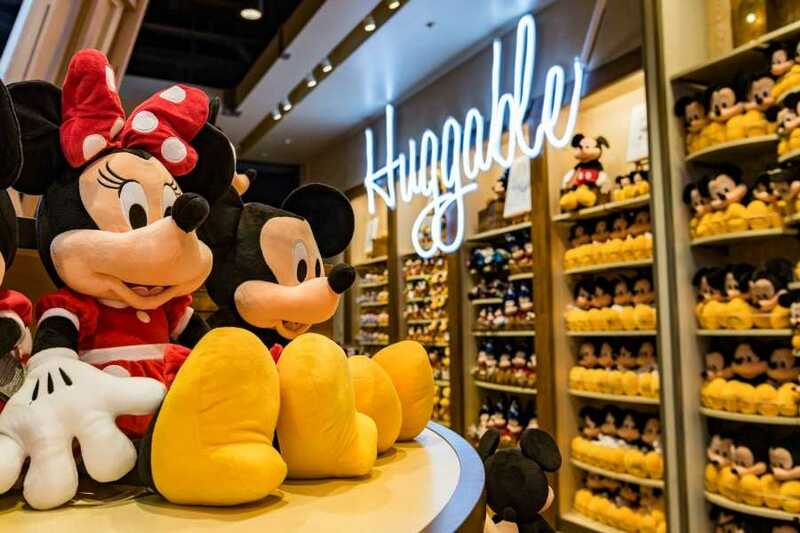 World of Disney will routinely roll out exclusive Disney Parks merchandise, reinforcing its reputation as a must-visit for devoted Disney fans. 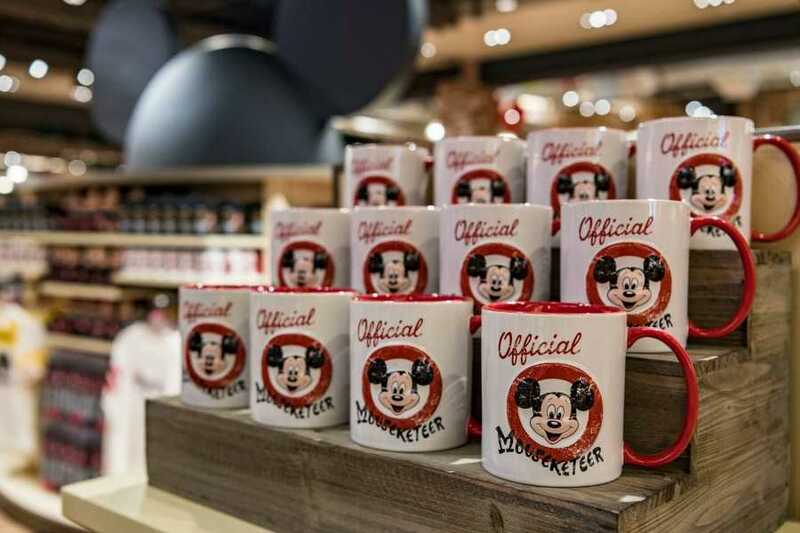 Unveiled earlier in October was a new Mickey Mouse Club line with apparel and accessories featuring a vintage Mickey Mouse from the original television show. This area will continue to change as new merchandise arrives. Also revealed with the store’s grand reopening is the Nordic-inspired Disney Parks Holiday Collection 2018, complete with Disney-themed holiday décor, ornaments, apparel, and more. The area where this collection is displayed will also change throughout the year with new and exciting merchandise. The World of Disney stores at both Disneyland Resort and Walt Disney World are now offering guests the option to purchase new reusable bags instead of using plastic bags for their purchases. This program is part of The Walt Disney Company’s global commitment toward significant reduction of single-use plastics by mid-2019. Featuring artwork of beloved Disney characters, these reusable bags will be offered in three sizes for a nominal fee. Traditional plastic bags are still available upon request at no charge. 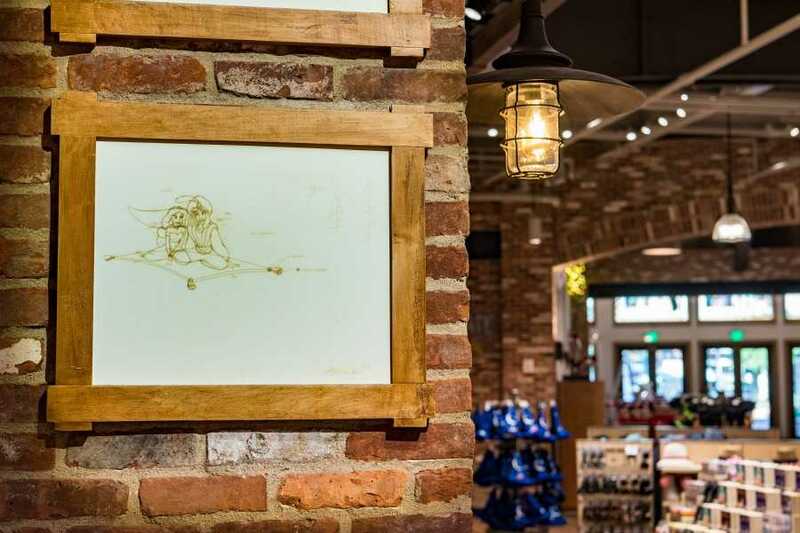 Stop by the World of Disney Photo Gallery to see more photos of the newly reimagined store.